A leading human rights group, Access to Justice has called for the removal of Code of Conduct Tribunal Chairman, Mr. Danladi Umar, saying the move will restore confidence in the tribunal. Reacting to the tribunal’s judgement on suspended Chief Justice of Nigeria, Justice Walter Onnoghen, Access to Justice (A2Justice) said that the tribunal is not independent of the executive arm of government. Today, April 18, 2019, the Code of Conduct Tribunal in a judgment delivered by its chairman, Mr. Danladi Umar convicted Justice Walter Onnoghen on a six-count charge of false declaration of assets. The charges were filed on January 10th 2019 by the Federal Government of Nigeria following a petition to the Code of Conduct Bureau on January 9th 2019 by an organization (the Anti-Corruption and Research Based Data Initiative). Following its verdict, the Tribunal ordered Justice Onnoghen’s removal from judicial office as Chief Justice of Nigeria, as well as the seizure and forfeiture of the monies in his accounts. It also barred him from holding public office for ten years. The Code of Conduct Tribunal is a quasi-criminal court saddled with the responsibility of handling complaints of non-compliance with the Code of Conduct for Public Officers. The primary objective of the Code of Conduct Tribunal, as provided under its Enabling Act is to establish and maintain a high standard of morality in the conduct of their official functions by public officials. 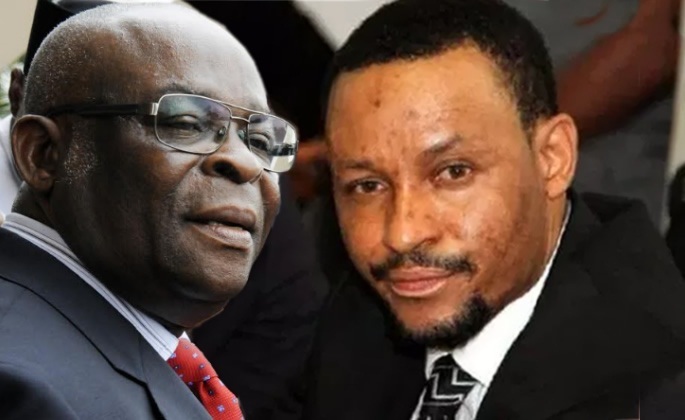 Access to Justice (A2Justice) takes no position on whether Justice Walter Onnoghen committed the infractions with which he was charged or indeed is guilty of offences related to them. A2Justice abides by the rule of law principle that all persons are equal before the law and that no person should be above the law. However, a cardinal rule of law requirement is that courts and tribunals which exercise judicial powers should be independent of other arms of government and appear, in the perception of reasonable observers, to be so independent. Unfortunately, the Code of Conduct Tribunal did not offer this guarantee of independence, neither its perception. Far from it. The Tribunal had, from the word go, drawn the handwriting on the wall indicating that it was bent on a particular outcome, and that it would look neither to the left nor to the right in the blind pursuit of that goal. At several pivotal junctures in the course of the trial, the Tribunal appeared to demonstrate that it was clearly on the same side with the government, and was not sitting as an unbiased umpire or judicial arbiter. Nowhere was this more evident as when Danladi Umar and another member of the Tribunal granted, speaking figuratively, under cover of darkness on January 23rd 2019, an ex-parte Order removing Justice Walter Onnoghen as Chief Justice of Nigeria. The bizarre and egregious procedure taken to unseat Justice Onnoghen was an unmistakable indication that no barrel was too deep to plumb in getting to achieve what the Tribunal wanted to achieve, and no rule or principle of law was strong or revered enough to forestall its plan. It will not surprise many that the Code of Conduct Tribunal reached the verdict it did after using very questionable procedures from the very start. It would be a serious fallacy to characterize the Tribunal’s verdict as one reached after a due process trial using even the lowest possible denominators of what a fair trial represents. The procedures adopted by the Tribunal in the case were far too faulty and flawed to be regarded as a judicial process. To reasonable observers, it would appear that the Tribunal’s procedure and speed were deliberately contorted to enable it reach its pre-determined outcomes, and its verdict was simply a reflection and product of the shambolic trial. Undoubtedly, Justice Onnoghen’s trial before the Code of Conduct Tribunal was, in every way, grossly and grievously unfair, and no fair-minded court or tribunal could have descended to the depths the Code of Conduct Tribunal delved in trying to convict Walter Onnoghen on the charges against him in order to remove him from office. The Tribunal was so desperate to convict Justice Onnoghen that it had to overturn or side-step its previous judgments on similar matters, decisions such as those given in a prior case involving another Justice of the Supreme Court. A cardinal principle of our Common Law system is that similar cases are decided alike in other to prevent arbitrariness and caprice in the adjudication of cases. This is not a way to fight corruption. There is no positive, but rather, there are plenty negatives to this flawed judgment. This judgment merely shows how much is still lacking in Nigeria’s courts and tribunals and how distanced they truly are from being independent vehicles of justice. Unfortunately, the Code of Conduct Tribunal has been headed for a long time by a person who himself has been the subject of corruption allegations, and that, in itself, is a major weakness. More than changing its leadership, constitutional reforms must make the CCT a more independent institution. As Danladi Umar himself said in his judgment today, “…CCT also is not under the supervision of the National Judicial Council but the Presidency…’’. A Tribunal under the Presidency cannot be independent of the Presidency, which is a political institution. Ultimately, the trial and judgment of the CCT will disparage Nigeria’s system of justice in the eyes of the international community. More than that however, they show that, despite elaborate constitutional arrangements to guarantee an independent Judiciary, as well as constitutional rights to a fair trial, the judicial process is still weak and leaking through many crevices leaving many citizens defenceless and exposed as a result. We see this situation in the Code of Conduct Tribunal. No democracy can flourish under such conditions.